We are one. The reality of this truth always hits home when there is an attack on society outside of what we consider a war zone. War is tragic, but assault on the civilian population is truly an act of terrorism. As I contemplate the events in Boston, I know somewhere else in the world there was probably another attack on society just as heinous, a day or two before and perhaps since. The question is…do we mourn for the losses of others as we do our own. Until we learn to share the pain of the rest of our human family, we will not began to eliminate what is at the root of the suffering. What is the problem? A house divided cannot stand. Human kind is just too divided. Private interest and insensitivity to the lives of others are taking their toll. This division is why we live in such a violent world. The lack of love for one another is giving way to hate and destruction. The prevalence of selfishness and hate in our society is a direct result of the inability to grasp the fact that we are all human. Our different languages and skin tones and cultures have become more significant than the fact that we are one. What affects one of us, though it may not be immediately perceivable, affects all of us. Just like the human body, if one part is injured it will eventually affect the health of the whole body if not cared for. Like an infection that leads to a fever, and then convulsions throughout the body, and once the poison has spread, then death. If we could all see ourselves as part of one body, we would care more about each body member. After all, what person in their right mind neglects their own body? I know…that is also part of the problem. Humans are guilty of violating the two laws of sustainable living. What I have been writing about so far in this post is the infraction of the first law. The first law of sustainable living is to love our neighbors as our own selves. Not merely our neighbors next door, but our neighbors over in the next county, state, or country. Not merely our neighbors that look like us and talk like us, but our neighbors of different ethnicities and cultures. American foreign policy lacks this principle of love, but even closer to home, what does our individual foreign policy look like. How often do we pray for the human right violations that occur in the different zip codes and time zones around the world? Prayer brings me to the second law of sustainable living. The second law of sustainable living is that we are to love God with all of our heart, mind, and strength. If we do not love God in this way, we will never fulfill the first law. God is the Creator, if we do not love the Creator we will not have respect for what He has created. If you love the Father then you will love His children. Keeping the two laws of sustainable living, given to us by the Creator, is the only way to win the race. God is Love, and it is only through being reconciled to Him, through faith in Jesus, that we have the power to truly love our neighbor. May God help us to love our neighbors across the finish line until we win the human race. Master, which is the great commandment in the law? Jesus said unto him, You shall love the Lord thy God with all thy heart, and with all thy soul, and with all thy mind. This is the first and great commandment. And the second is like unto it, You shall love thy neighbor as thyself. On these two commandments hang all the law and the prophets. 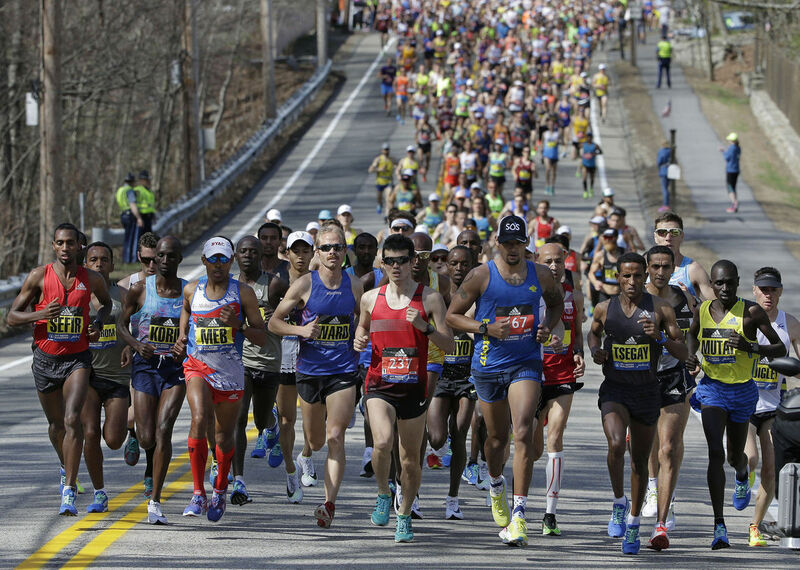 This entry was posted in Inspirational, Love and tagged Boston Marathon, Christianity, Family, Good News, Harmony, Humanity, Inspiration, Inspirational, Islam, Judaism, Love, News, peace, Poetry, Racism, RELIGION, Spirituality, Unity. Bookmark the permalink. Well stated my Brother. It is during times like this that we must follow The Lord’s command and love our neighbors more than ever! !